This is article #9 in the Bullet Journal series. I hope my past few articles have planted the seeds of Bullet Journaling in your mind. 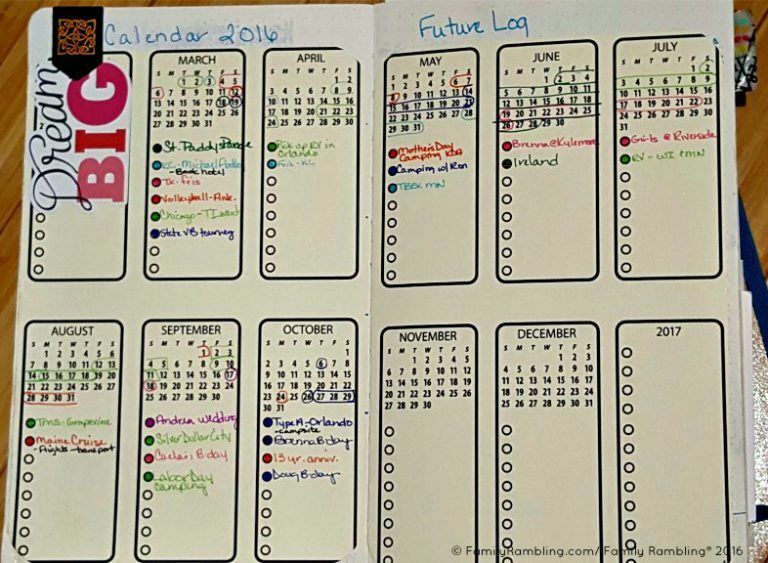 The flexibility, creative outlet, and diary capabilities make it my planner of choice. So now why don’t we take out a journal and get started? 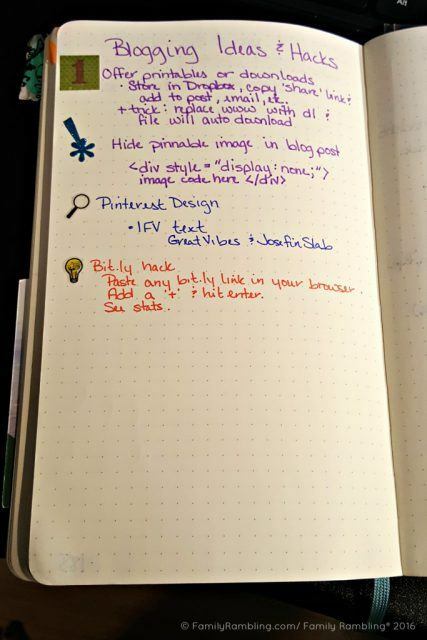 The bullet journal is an analog system, meaning you don’t need anything more complicated than a notebook and a pen or pencil. 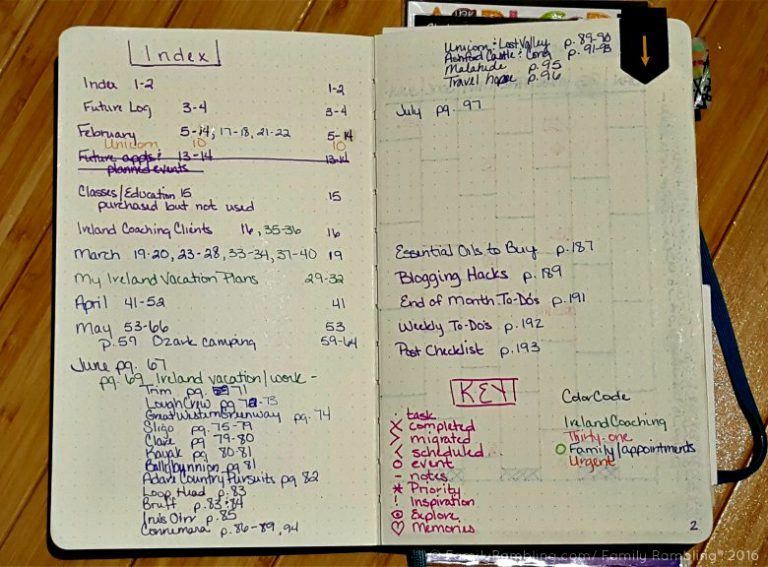 While it’s very customizable, and you’re certainly welcome to change things around, in this article, I will walk you through the setup for a traditional bullet journal as first introduced by Ryder Carroll from BulletJournal.com. Use it as a starting point, get comfortable with the basic system, and then change it from there. The first page of your bullet journal will include your key. This will record the shorthand you use for your bullet entries. Here’s the traditional codes used. Feel free to add to it, or modify it as needed. Your next two to four pages will be set aside for indexing. This will allow you to quickly find any collection, or get to a particular month. Title each page as an index page and move on to the next section. For my first journal I only included two pages for my index; in retrospect I wish I had used 4. With the original bullet journal setup this is a two page spread that records the coming 6 months. Many bullet journalers find it helpful to use a more traditional yearly calendar instead (I use this printable from etsy). This is a great place to record birthdays, anniversaries, or block out vacation time. Add or note the page number and record your future log in your index. At the end of your day, or first thing the next morning, it’s time to review your tasks and cross out and migrate anything that isn’t checked off. For example, if you didn’t get around to doing laundry today, draw an arrow through it and add the task to today’s daily task list. If you noted an appointment that came up yesterday, move it to your monthly list and draw an arrow through it in yesterday’s list. If something no longer applies then cross it out. Your goal is to deal with each entry from your daily list by completing it, migrating it, or crossing it out. 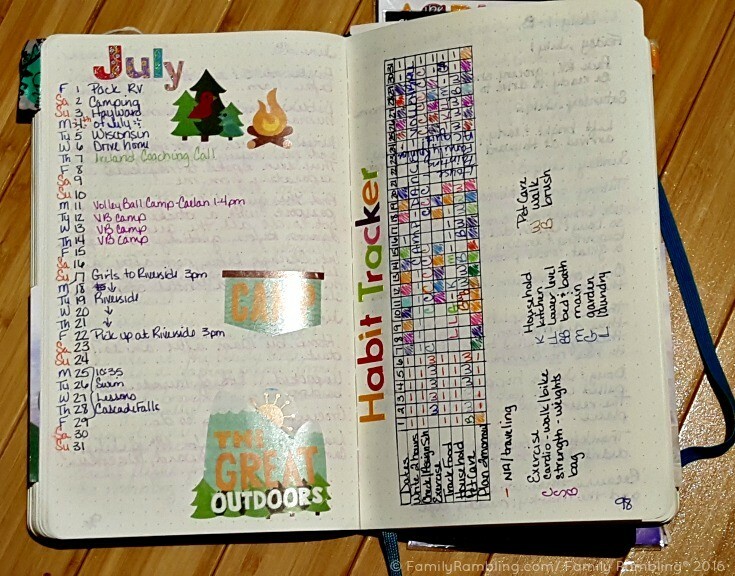 After half a year of using the Bullet Journal – which is a record for me sticking with a journal!- I’ve found a few products that work wonderfully well for me. 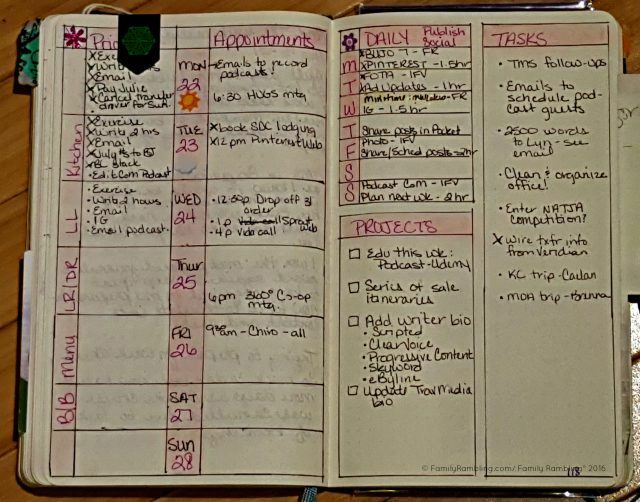 SO… Have you tried Bullet Journaling yet? What do you like? What don’t you like? Or what is keeping you from giving it a try?